Welcome to the Florida Forest Service web-based vendor listing. This database was developed as a tool to assist landowners in finding forest management related service providers for implementation of forestry practices on their land. Please note that this information is provided as a reference and does not imply an endorsement of these entities by the Florida Forest Service. Landowners should discuss needs with vendors to be certain that the vendor will be able to meet their requirements. When engaging with any service provider, it is important to get quotes, check references, require proof of insurance and other legal qualifications, and execute a written agreement with the vendor to ensure that work will be completed to your specifications. If you are a vendor and would like your business to be included, or are already in the database and would like to update your information, please contact Danny Stevens at Daniel.Stevens@FreshFromFlorida.com or (850) 681-5871. Disclaimer: The user assumes the entire risk related to their use of these data. The Florida Department of Agriculture and Consumer Services is providing these data "as is" and disclaims any and all warranties, whether expressed or implied, including (without limitation) any implied warranties of merchantability or fitness for a particular purpose. 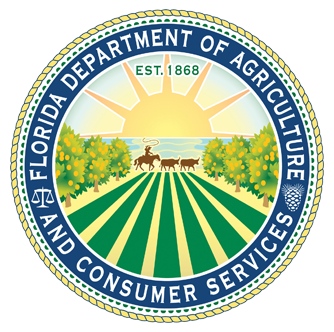 In no event will the Florida Department of Agriculture and Consumer Services be liable to you or to any third party for any direct, indirect, incidental, consequential, special or exemplary damages or lost profit resulting from any use or misuse of these data.